Ganghwa Anglican Church is considered that first Christian church in the area. 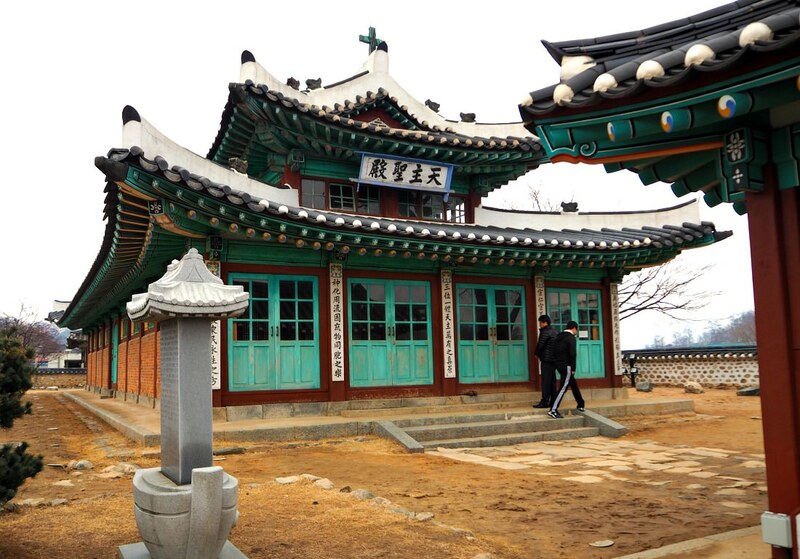 It was first designated as Gyeonggi Province cultural property and then became Incheon’s property. 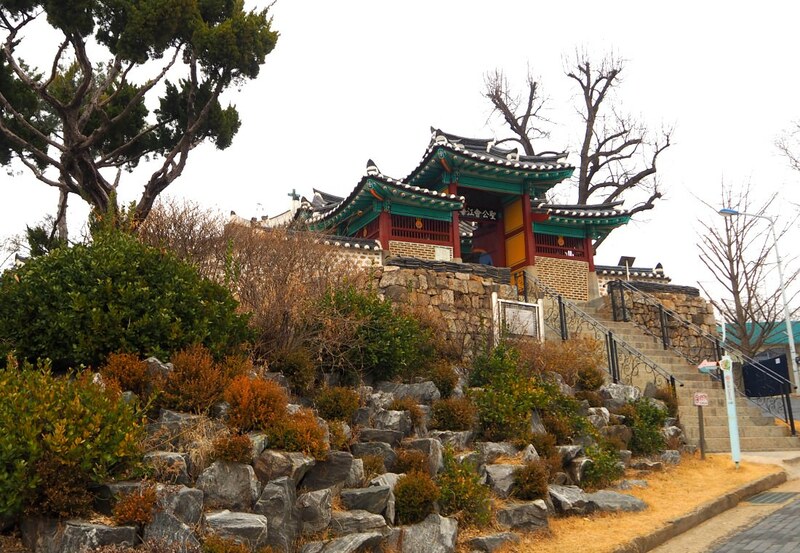 After our visit to Ganghwa Fortress, we headed to this area on foot. It was worth the walk (a short one) because the whole area is serene and no traffic. A great destination to experience historic sites with the peaceful environment! 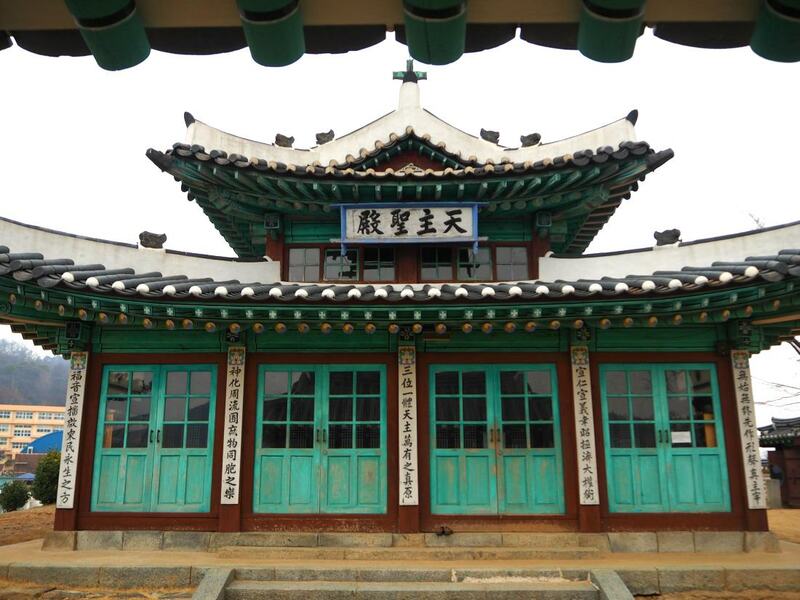 Ganghwa Anglican Church is the first church structure built with the traditional Korean style called ‘hanook.’ This religious structure was constructed by the first bishop Charies John Corfe in 1900. The church has been named according to the biblical Apostles - Saint Peter and Paul. It was recorded that an architect belonging to a royal family was leading the construction work. There has been many renovations and adjustments made to the building since it was first built until today. However, most of its original structure and form is being preserved. 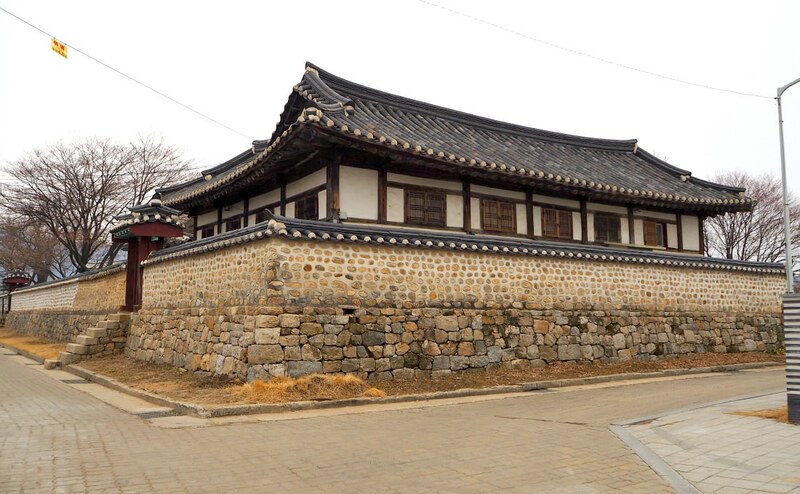 Basing on the Korean traditional building structure, the rectangular shape of the church (with a width of 7.2 meters and 18 meters in length) resembles that of the Basilican style. A Basilican architecture represents the harmony of beauty between Western and Korean traditional architectural techniques. Ganghwa Island is away from the noise of progress that Seoul and other big cities are experiencing. 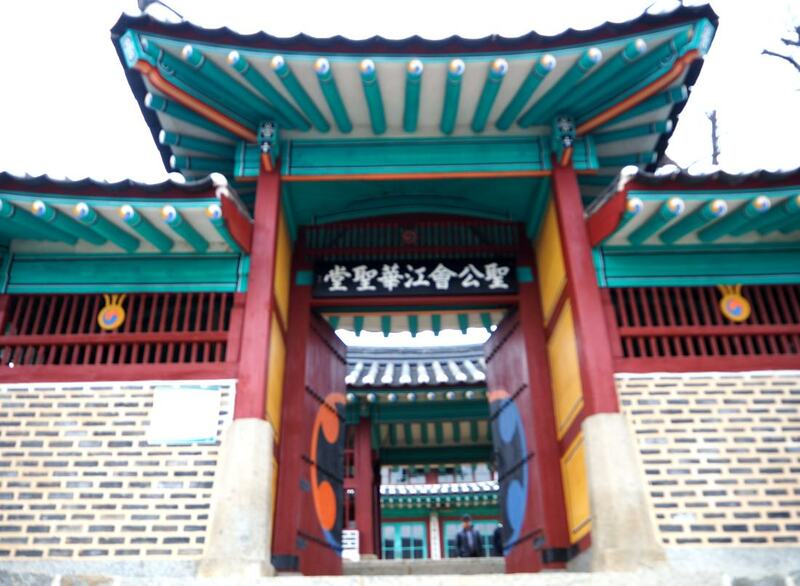 Therefore, you should know that Ganghwa is for those who want to take a break from the daily grinds of city life. I mean, Gangwha is serene and no traffic. There are 19 trails you can choose from in this area. Such trails include beach areas, land and seaside. Goryeogung Palace Site. There is the site of the royal palace of the Goryeo Dynasty (91-1392) people lived and fight against the invading Mongolians. 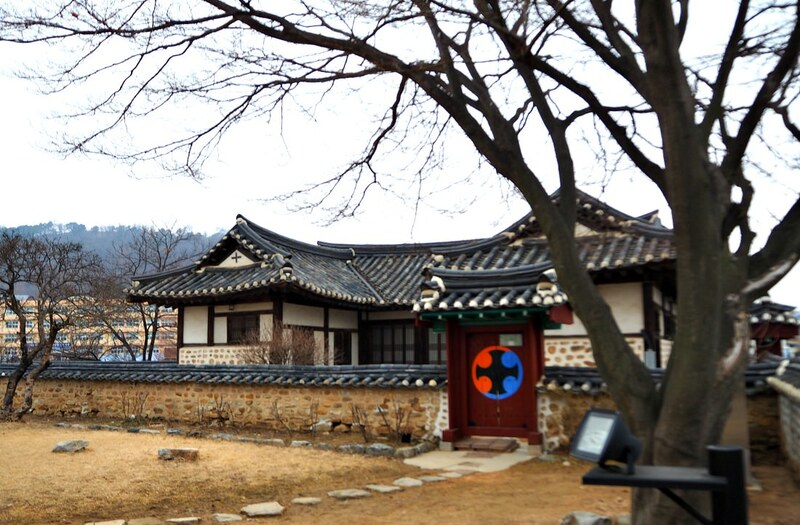 It is the place where King Cheoljong of the Joseon Dynasty live and then later became the king. It is a mountain range that offers various hiking trails. This mountain is particularly famous for its azalea flowers that bloom in Spring. The mountain is covered by this beauty flower specie. There are two ways suggested in this article. But indeed there are many points where public transports ferry visitors to Ganghwa Island and see the oldest Anglican Church. Head to Sinchon Station (Subway Line 2) and then Exit 4. Go straight to the bust stop at Artreon (business building with a movie house). Take Bus 3000 for Ganghwa Bus Terminal. Then transfer to Bus 88 and get off at Suhyup Bus Stop. The church is easy to find because it is on the top of a hill. You can ask anybody to head quickly to your right destination! Take Bus 88 from across Shinsegae Department Store. Then get off at Suhyup Bust Stop in Gangwha. From Suhyup Bus Stop, walk straight for less than a kilometer then at Ganghwa Jungang (central) Market turn right. Continue walking for over a hundred meters, and you’ll see the church on your left side. Thanks for reading and hope you like it!